Ava has spent most of the past two years in and out of Seattle mental institutions, shattered by grief and unable to recall the details of Noah’s disappearance. Now she’s back at Neptune’s Gate, the family estate she once intended to restore to its former grandeur. Slowly, her strength is returning. But as Ava’s mind comes back into focus, her suspicions grow. Despite their apparent concern, Ava can’t shake the feeling that her family and her psychologist know more than they’re saying. But are they really worried for her well-being - or anxious about what she might discover? Unwilling to trust those around her, Ava secretly visits a hypnotist to try and restore her memories. But the strange visions and night terrors keep getting worse. Ava is sure she’s heard Noah crying in the nursery, and glimpsed him walking near the dock. Is she losing her mind, or is Noah still alive? Ava won’t stop until she gets answers, but the truth is more dangerous than she can imagine. And the price may be more than she ever thought to pay…. I don't know what a previous reviewer was thinking when he said this book was a waste of money. Thankfully I didn't listen to him being a prior Lisa Jackson fan. All the previous reviewer focused on was the writing style. I thought "You Don't Want to Know" was a great thriller with so many twists and turns right to the very end that I was fascinated by the storyline. I couldn't wait to see who did it and how they were connected to the main character, Ava Garrison. One reviewer said he was tired of the main character's mood swings, etc. That was almost the entire point of what was going on in the book. Not saying anymore about that so I don't give away the plot. If you want a good psychological thriller, then listen to this book. Would you listen to You Don't Want to Know again? Why? I haven't read a mystery, thriller as good as this one in a long time. Would recommend it to everyone who enjoys a good mystery. It's 16hours of pure pleasure. All the twists and turns. All the red herrings. Have you listened to any of Christina Traister?? ?s other performances before? How does this one compare? If you could sum up You Don't Want to Know in three words, what would they be? 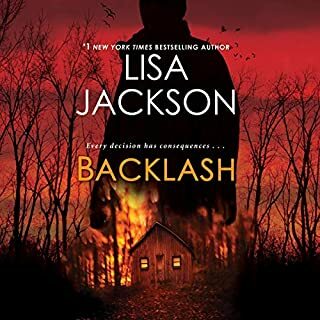 LISA JACKSON PENS HER BEST BOOK YET!!! Would you consider the audio edition of You Don't Want to Know to be better than the print version? Absolutely. 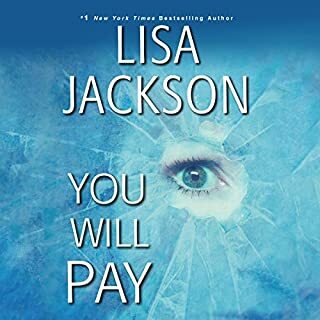 "You Don't Want To Know" by Lisa Jackson has a terrific cast of charecters, and they, for the most part, are members of the same family. The audio version of this book is essential to understanding this truly twisted cast of characters. The audio version reinforces and champions the lead female character, Ava, without watering down the superb and delightfully convoluted character development of the rest of her many evil family members. 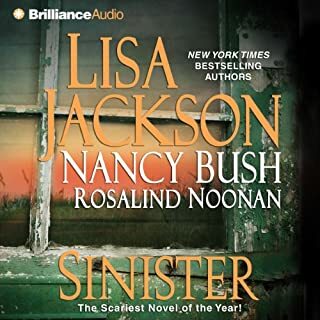 Lisa Jackson strikes a delightfully sneaky balance with this cast of characters. And that is absolutely essential for this kind of book. The audio version lets the listener understand all the emotions of all of the characters. It put a face on a string of emotions that is absolutely necessary for "You Don't Want To Know" to work. And it does work. What a wicked web L.J. weaves. You love this book. 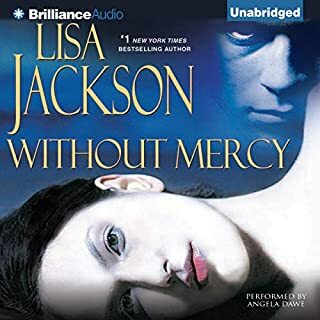 It is the best Lisa Jackson book I have read to date. And I have all the books Audible.com has to offer. Listen, don't read, this book. The audio version brings the book to life. The narrator for this novel does a remarkable job. Especially, because Ava, the main character, must be delicately developed so the listener will want to know what happens to her. By the end I was cheering out loud for her. All of this developes through a great narrator and a terrific author who had the guts to let this book develop and grow almost exclusively on the backs of its many cast of characters. Terrific job! The Book started a little slow for me because there was no big action scenes or mind grabbing dialogue but I continued through a few chapters and the book finally grabbed me and I could not put it down.I loved the unpredictable twist & turns that this book took. I just had to know what would happen next or what clue would be revealed. There was a number of mysteries solved and I wanted to solve them. This book has very well rounded characters and though there are many of them it's quite easy to differentiate each one from the other. The main character is Ava, she's the mother who lost her baby and has been through so much. The emotions and frustration she feels truly comes out in in the way Lisa tells this character's story. I found it hard to put down once I was hooked. This was my first Lisa Jackson book & it defiantly wont be my last. 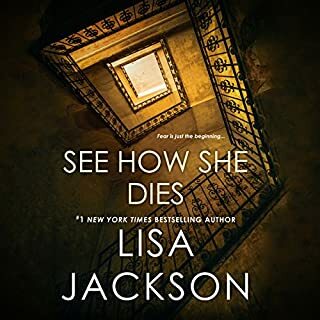 People were raving about this book in reviews at Audible, and I usually like Lisa Jackson, so I was looking forward to it. This is one of the most disappointing books ever. First, in print, perhaps it wouldn't be as confusing, but in audio the vast cast of characters is largely indistinguishable. You'll need a chart to keep track of everyone - is he a brother, half-brother, cousin, friend, hired help? Is she a cousin, old friend, daughter of the housekeeper or nurse or therapist . . . After I while I stopping trying to place who was who because almost everyone was obnoxious and crazy regardless. Second, a lot of people's actions just doesn't make any sense. I liked the main character. But, like every other character, her actions/inactions don't make much sense given her supposed motivations. The author tries to explain this as resulting from confusion, fear, drugging, control of finances, but that's harder to buy over time. However, the main character is a paragon of reason and consistency compared to the other wackos that reside in her apparently massive mansion. I found it impossible to buy the basic story -- if these people were so motivated to pursue their goals that they'd be willing to do the things attributed to them in this book (trying to avoid spoilers), there were much simpler and safer ways to achieve their goals. How many dozen people living in that house had to be either complicit or an idiot? And why, pray tell, would the husband decide to bring a new employee into this situation? Third, even if you buy the plot and storyline, the book is about 50% longer than it should be to tell that story. Needlessly repetitive, extraneous minor characters whose only apparent purpose is to provide red herrings or cause confusion or drop one relevant "clue," I was so bored by the first third of the book that I barely soldiered on . . . but I usually like Lisa Jackson, so I persevered. Wish I hadn't. Do Not Listen with Earphones! What would have made You Don't Want to Know better? The narrator screamed so much throughout the book that I would have to take my ear buds out and just listen for the screeching to stop. It is the worst listen in my 10 years. What was most disappointing about Lisa Jackson’s story? Lead character is whiny and weak. Jackson's attempt to make her sympathetic falls short. Normally love her books and buy regardless of review. Who would you have cast as narrator instead of Christina Traister? Anyone. Including my 4 year old niece! Will remember this narrators name and be sure to stear clear of all books she performs any role in. I can never leave a book, even a bad one, left unfinished. The narration was so bad I actually got book on kindle to finish reading it. Might have like story more if I had just read it. Please save yourself the headache, if you are a die hard Jackson fan skip this audio production and read it! My first and last Lisa Jackson book. I did not like this book. Maybe because the story was over 17 hours long and could have been told in 5 hours. Very redundant, and far-fetched. There were so many good reviews - I guess it's just not my kind of book. If I had to hear the narrator scream "Noah! Noah!" one more time, I thought I would scream too. Of course, it could have been the writing as well as the performance. I got it after the first 10 times the main character called out for her son, whether sleeping, awake or in a hypnotic trance. Maybe it wasn't so noticeable in print but it certainly was annoying in the audio format.